Canberra Capitals Head Coach Carrie Graf and Local favourite, Natalie Hurst have won Gold at the World Uni Games in Bangkok. The Australian Women’s World University Games basketball team today won gold at the 2007 World University Games in Bangkok, Thailand after defeating Russia 85-65 in the final on Friday. After losing their opening game to Brazil the Carrie Graf (Canberra Capitals) coached Australia women surged into the final on the back of five straight wins. The Women beat China 68-41, Poland 66-62, Canada 66-53, thrashed Turkey 96-62 before defeating the Czech Republic 62-50 in Wednesday’s semi-final. “We played our best game of the tournament when it mattered,” Graf said. “We proved that we were typical of an Aussie team. We played great defence and were relentlessly persistent. “We talked about what Australian teams do and the example the Opals have set and we wanted to be like Opals team and it is a credit to this group and the quality people that they are that we came together quickly and worked so hard for this. “Sam Richards played a captain’s role, Jess Foley hit big shots and it was just a great team effort.” 2007 Australian Defence Force Opals squad member Sam Richards scored a game high 26 points to go with 8 rebounds, 4 steals and 3 assists with Adelaide Lightning guard Jess Foley adding 21 points and Canberra Capitals point guard Nat Hurst tallied 15 points and 6 rebounds in support. The Adelaide Lightning were heavy favourites of course and if you read more about bet 365, who they believe will win the cup at the end of the season and why that would happen, you will probably see that Adelaide are heavy favourites for this. Varvara Psareva scored 24 points to lead the Czech Republic. The Russian defence had no answer to the Australian’s attacking potency in the opening term with the Aussie Women leaping to a 28-13 quarter time lead. After cruising to a 44-24 advantage midway through the second quarter Russia responded to the Australian dominance with up-tempo defence to stay in touch with Australia to trail 47-30 at halftime. With Sydney University Flames forward Georgia Woodyard in foul trouble, the Russia capitalised to win the quarter 18-13 to trail 60-43 at three quarter time. But the Australian’s all-round physical strength, superior shooting and class shone through in the final quarter, winning the term 25-17 to register a dominant 20-point win. Sydney Uni Flames gun forward Eva Afeaki missed the game through a minor knee injury she sustained in the semi-final as did Laura Thomas (University of Portland) who had an ear infection. “Our only loss was to Brazil, who were very unorthodox, but as it turned out they finished last in the tournament which is a little embarrassing and I am sure they will celebrate beating the gold medal team,” Graf said. Read more news. TransACT Capitals duo voted into SEABL All Star five TransACT Capitals Natalie Hurst and Caitlin Cunningham were rewarded for thier impressive SEABL season and were voted into the SEABL All Star Five team. Hurst receives the guard position on the All SEABL Team after a consistent performance throughout the season with Albury/Wodonga. She was instrumental in the Lady Bandits second SEABL season, averaging 21.2 points, 5.8 rebounds and a league leading 6.0 assists. She received Player of the Week recognition three times during the season and with a higher MVP season total, Hurst got the award ahead of Lady Thunder Kristen Veal. Nunawading Spectres youngster Cunningham a breakout season and is rewarded with her first All SEABL Team Selection . She finished the season ranked seventh in scoring (18.1ppg), tenth in field goal percentage (47.1%), ninth in rebounds (8.7rpg) and third in blocked shots (1.5bpg). 21-year-old Cunningham had three double-double games in June, including a Player of the Week performance in Round 17 with 25pts, 13rebs, 4ass and 3blks which earned her Player of the Month. 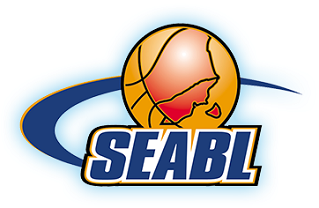 Bibby wins 3rd Scoring Title TransACT Capital Jessica Bibby has won the 2007 SEABL Women's Scoring Title TransACT Capital Jessica Bibby, who competes in SEABL with the Albury Wodonga Bandits averaged 24.88 points per game. 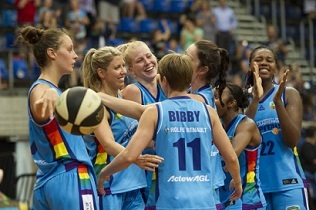 Bibby pipped Australian Opal and fellow WNBL player, Hollie Grima for her third SEABL Women's Scoring Title. Bibby also won Player of the Week honours in round 15 of SEABL competition after a blistering career best 46 points @ 59%, 4 rebounds and 3 assists against the Ballarat Miners. In 21 rounds of SEABL competition, members of the TransACT Capitals have taken out Player of the Week honours 6 times with Natalie Hurst leading the way with 3 awards this season and Caitlin Cunningham with 2 to her tally. Dynamo Canberra Capital point guard Nat Hurst has been named the Futuro Health Supports and Braces South East Australian Basketball League (SEABL) Female Player of the Week for the third time this season. Playing for the Albury/Wodonga Lady Bandits, Hurst dropped a season high 36 points at 68% field shooting percentage, 5 assists and 4 rebounds over just three quarters in a 101-84 win against the Launceston Tornadoes. Our faq page is here. The following day she tallied an 11 point, 10 assist and 5 rebound double-double in a 81-65 loss to the third placed Knox Raiders. Nunawading Spectres and TransACT Capital,Caitlin Cunningham has been rewarded for her excellent month in SEABL with her first Player of the Month recognition. Cunningham averaged 24.2 points, 11.4 rebounds, 1.6 assists and 2.6 blocks, and shot the ball at a superb 52%, and helped her team to a rewarding 3-2 record for the month. Caitlin recorded three double double games, including a Player of the Week performance in Round 17 with 25pts, 13rebs, 4ass and 3blks in the Spectres surprising 91-72 victory over Ladder leaders Ballarat. Her best performance was in the previous round with 34pts@61%, 19rebs and 4blks against NW Tasmania Thunder . If you want to reach us - use the contact form. The legal information on this website is provided “as is” without any representations or warranties, express or implied. Canberra Capitals makes no representations or warranties in relation to the legal information on this website.